Please fill out the form below to get prices for doors and panels, and then you can add your order to your basket. Don't like ordering online then email us your colour, style, panel type and sizes and we will quote for you. If you are looking for prices for angled doors or panels sets then please see our angled doors pricing page. Please ring 01480 432700 if you have any problems or questions. Please fill out the form below to get prices for doors and panels, and then add your order to your basket. Please ring 01480 432700 if you have any problems or questions. Door Styles are grouped for easy selection. Manor and Shaker doors are 20% more. We have added Shaker doors with custom rails to our range. We have no size constraints on the Shaker custom rails and recommend that you don't go below 45mm if you are going to have concealed hinges. Style and colour must be selected before you can select a Door or Panel. Doors and Panels are grouped in sets. ie doors, drawer fronts and bath panels. Doors and panels are shown in a single neutral colour. We have added a new door called Narrow door to some Styles, this is used when you want a door narrow than a standard door allows. We move the side pattern nearer to the edge of the door and keep the height the same. 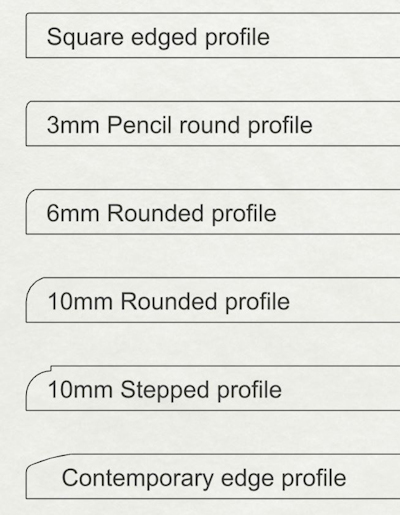 Sizes need to be entered in millimetres. The equivalent is shown in inches. The image to height of scaleman 1800mm on the righthand side is a scaled image of your sizes. All Doors and Panels have size limits these limits are governed by the style patterns. We have added a panel called narrow door that can be used when the the standard minimum size is larger than you want. We adjust the centre pattern sides to fit into the space available. All Doors and Panels have maximum and minimum size limits. We have introduced a a narrow door on some styles where we can move the side pattern or adjust the pattern to fit. This will not work in all cases. How many of each size. 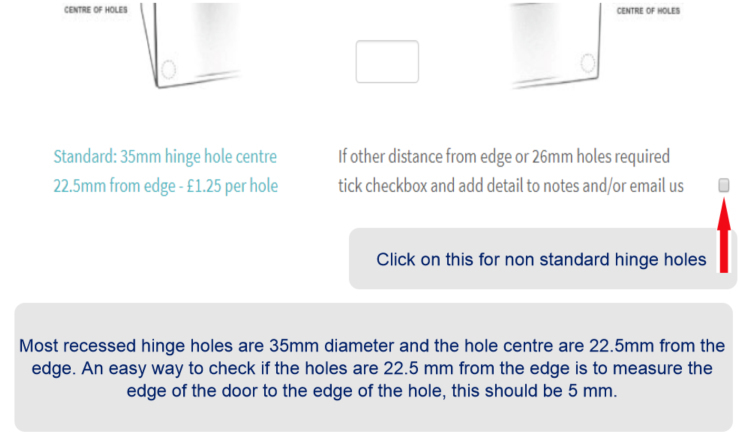 If the hinge hole detail is different on a door these need to be ordered a separate items. Left and right hung panels go on the same panel. 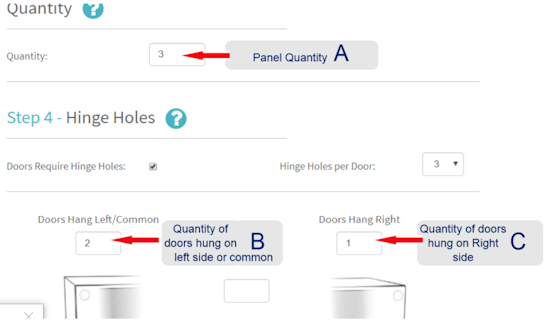 If some panels are the same size and are hinged and some are not the unhinged panels should be ordered as a separate panel. 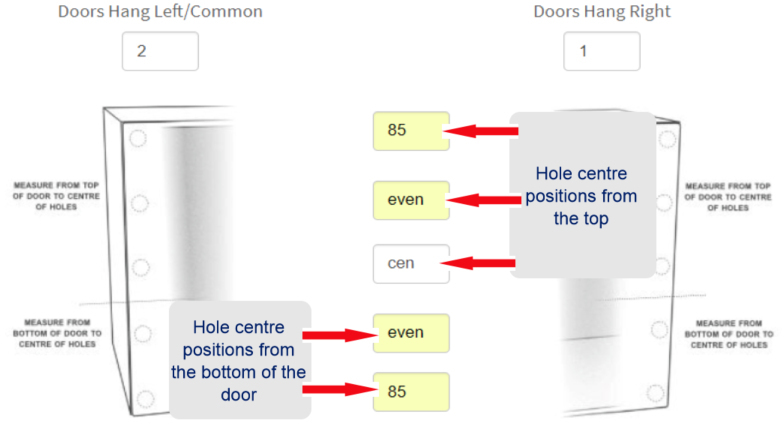 If some of the doors have different hinge hole locations or no hinge holes they need to be ordered as a separate door. 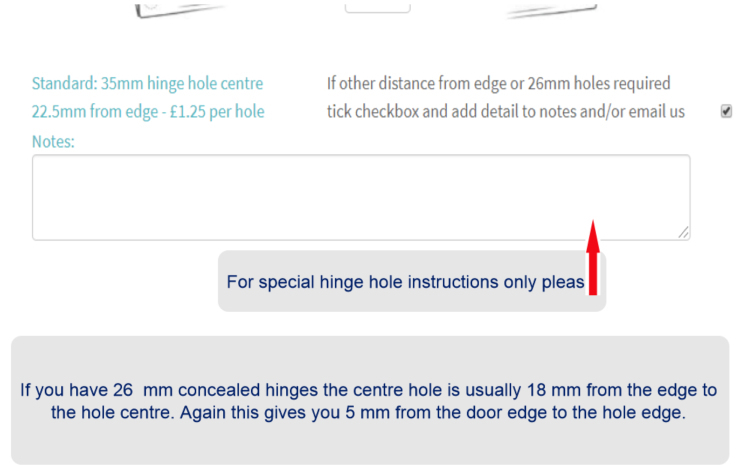 Sorry, Hinge Holes are not available for this panel Type. Live pricing Click Save Door Configuration to send to basket, a confirmation window will appear. Shipping charge is calculated in the basket. Shipping costs added in the basket, all prices include VAT. and not add it as a new panel. and not update the existing panel.